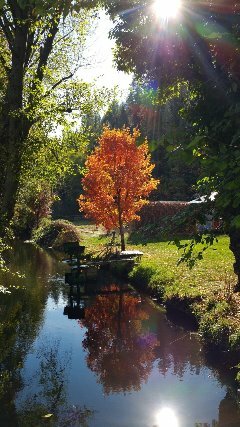 Fall is here in the Beautiful Indian Valley! It is that time of year again to renew your annual fees and save 10% should you choose to pay the full year in advance. The current newsletter gives all of the details and can be found on the homepage under the Oct. 2016 button. If you take some time and look around the website you'll find a lot of important information about the district and the schedule of meetings, etc. ​An opportunity will come again in late Winter to pay the assessment for those in the Greenville sewer system expansion and paying it in full now will save a lot of money over the years in interest charges. More information will be forthcoming when the due date gets closer. ​Our regular board meetings are the second Wednesday of each month at 6:30 p.m. in the Greenville Community Town Hall. Our committee meetings are the Monday and Tuesday the week prior to the regular board meeting, beginning at 5:30 p.m. and at 6:30 p.m. These meetings are held at the IVCSD office in Greenville at 127 Crescent Street. 95947. I hope that this Lovely Fall weather finds you in good health and good spirits. It's certainly one of the most beautiful months of the entire year. A quick update that I will be attending the Board Clerk Conference with CSDA in the second week of November, and Chris Gallagher will be out during the same week. Tashiauna will be running the office for those days. Stop by and say Hi and be sure to help her feel welcome to the IVCSD team. Photo by Jeff Titcomb.